I'm going to be donating 10% of my book royalties for as long as it's in print to Opportunity International, which is an amazing organization that "provides small business loans, savings, insurance and training to over a million people working their way out of poverty in the developing world. Clients in almost 30 countries use these financial services to start or expand a business, provide for their families, create jobs for their neighbors and build a safety net for the future." Here is Opportunity's website. Hypothetical Questioner: "Adam, why Opportunity International?" Adam: "I thought that 10% of my book royalties would be consistent with Opportunity's emphasis on MICROfinance." 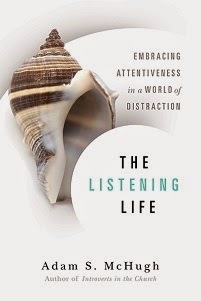 My book should be available to ship from Amazon in mid-October. 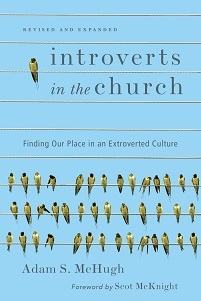 Pre-order it here: Introverts in the Church And while you're there, scroll down and check the boxes for the relevant "tags" - the more tags a book has, the higher it will land when someone does a search. Especially important tags are "introverts," "introvert," "introverted," and for good measure, "shy." Thanks for all your support and for spreading the word! I'm starting to get excited and a little nervous! I'll post another segment of my recent online interview soon.